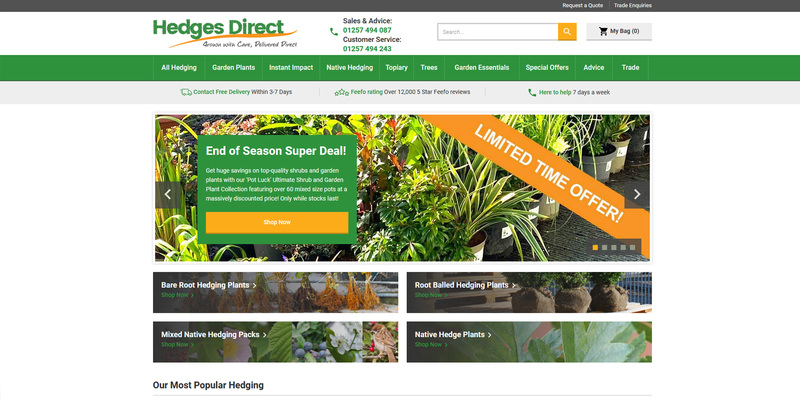 Our range of instant hedging is made up of some of our most popular varieties. These super specimens are grown in troughs or bags that measure 1 metre in length (some varieties in 50cm lengths) and create a dramatic, instant hedge effect. Depending on the age of the plant, they are carefully clipped up to 10 times to produce the instant hedge result. Our choice of instant hedges includes: Beech (Fagus sylvatica), Box (Buxus sempervirens) and Privet (Ligustrum ovalifolium) to name but a few.